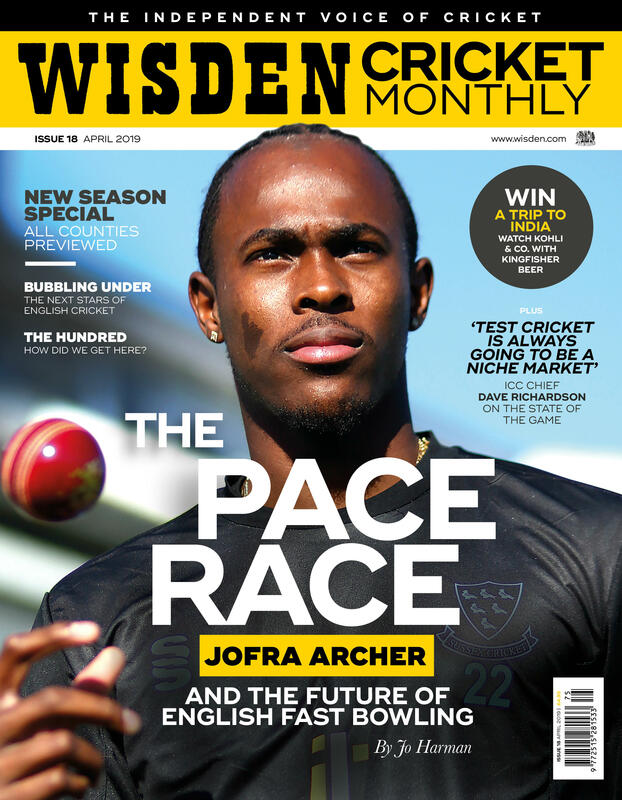 Wisden Cricket Monthly is ‘the independent voice of cricket’. Read the best writers, exclusive interviews, and the most comprehensive coverage of both the professional and amateur game every month. Terms & Conditions: Telephone order line is open weekdays 9am-5pm. Calls cost 7p per minute plus your telephone company’s access charge. Check with your service provider for call rates. Your subscription will start from the next available issue. At the end of the initial term, Direct Debit subscriptions will renew automatically at the same rate. Subscriptions are non-refundable. Cancellation is possible on expiry.